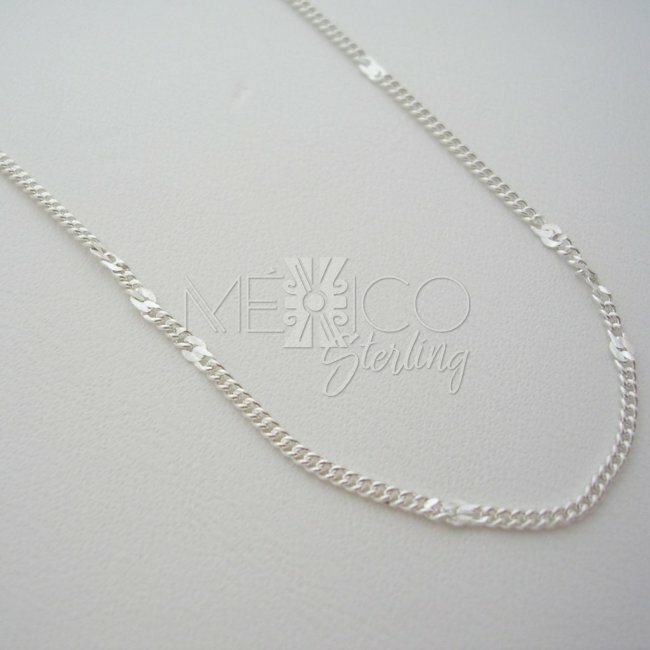 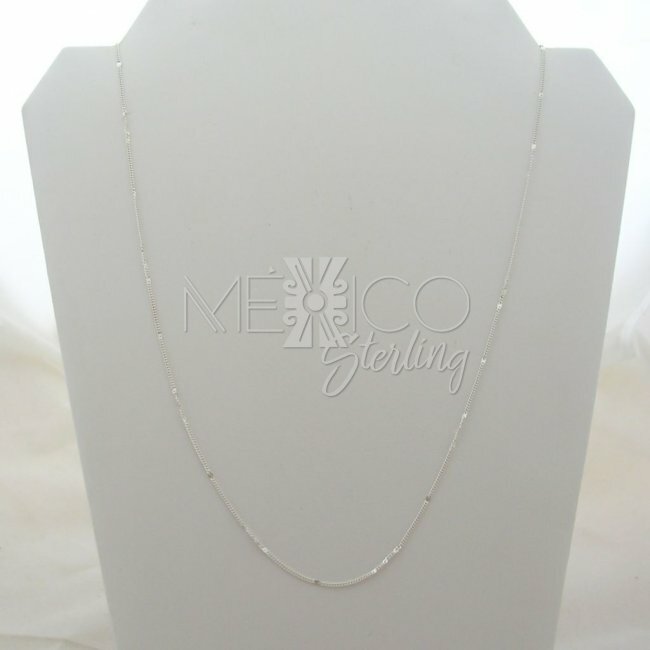 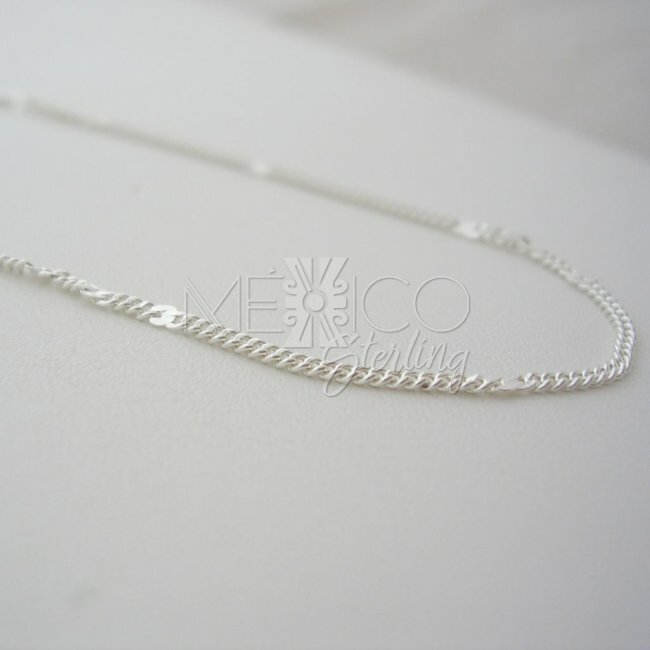 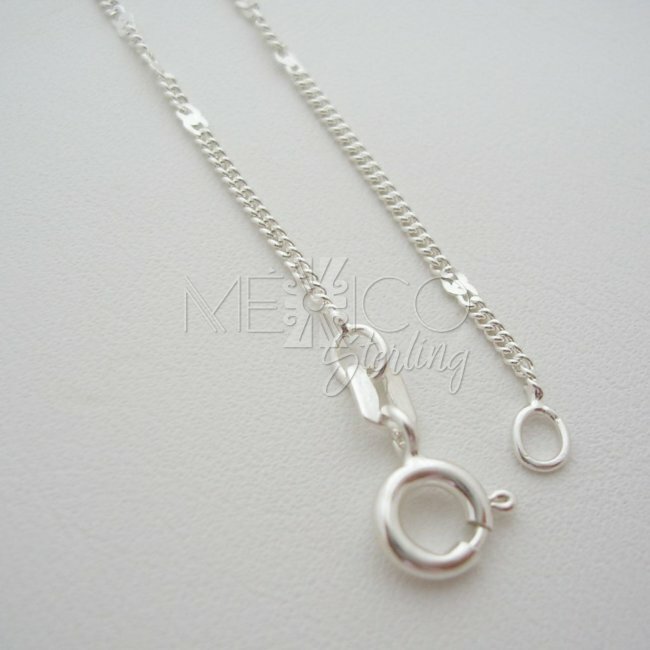 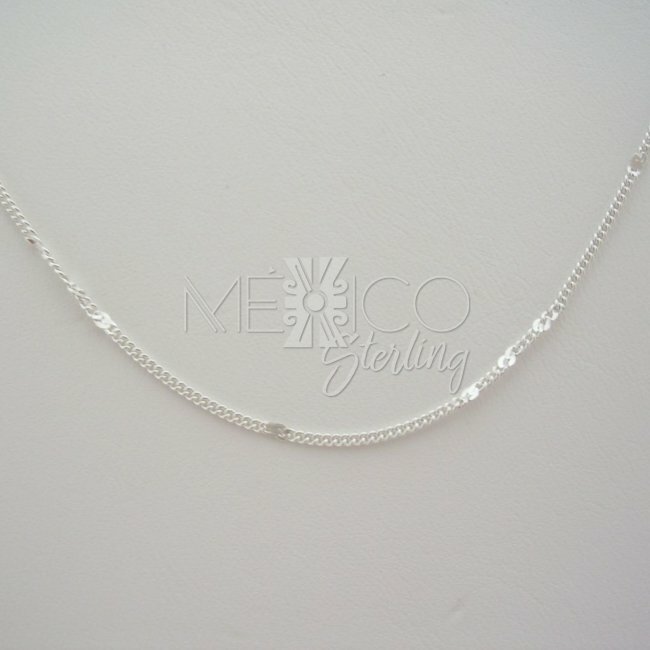 Taxco Sterling Silver Chain Necklace [Ch.Segment] - $12.00 : Mexico Sterling Silver Jewelry, Proundly from Mexico to the world. 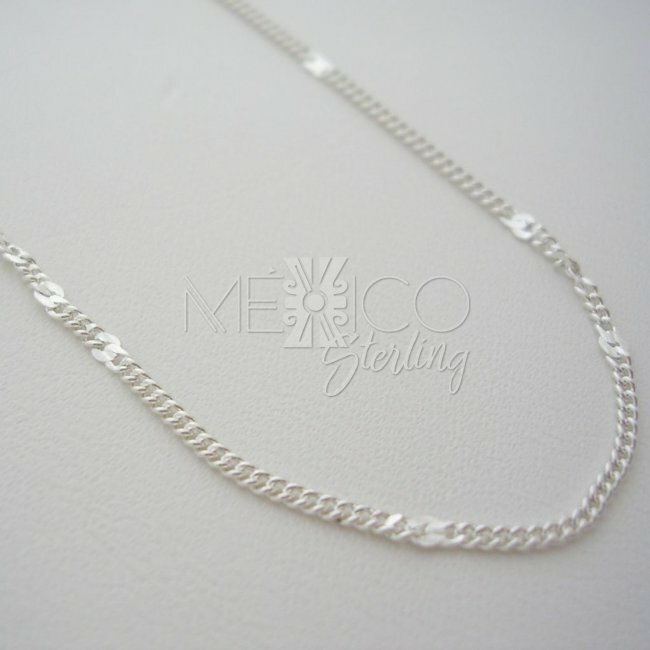 Very delicate silver chain 925 with an unusual pattern, this gorgeous piece is a combination of a classic and simple tiny link pattern, but on this one this pattern is broken by flat links sections that add a very unique look to the composition. 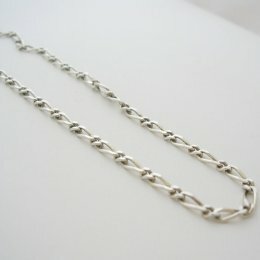 just at plain site you cannot quite realize what it is that makes this pattern so unique, you can only see like little knots breaking this lovely silver chain necklace. 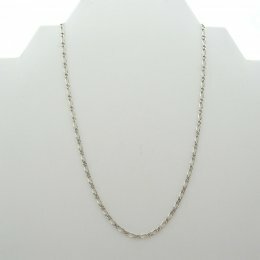 but on these additional pictures you can see exactly what it is that gives it this unique look. 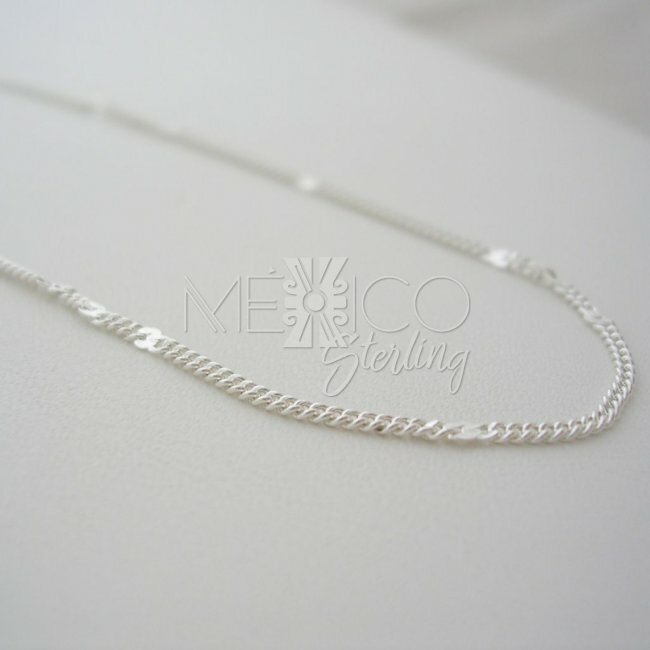 Beautiful little details that build this wonderful piece of jewelry. 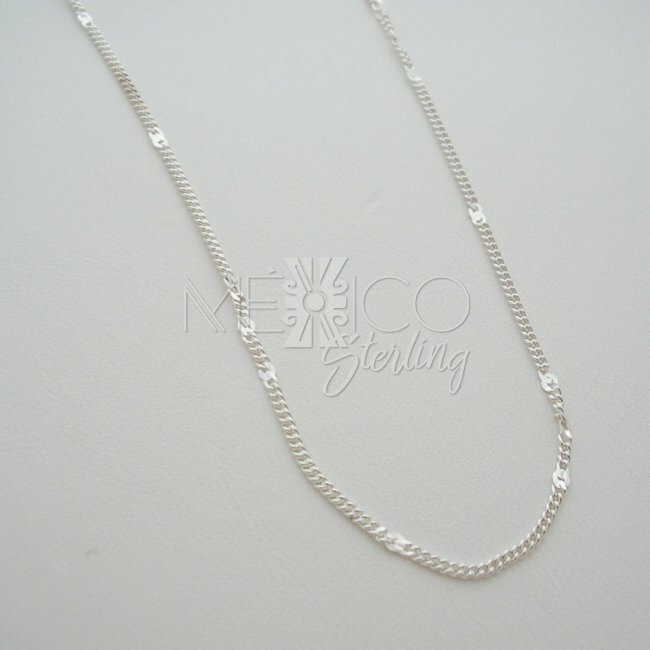 Wear it with or without a silver pendant or cross. 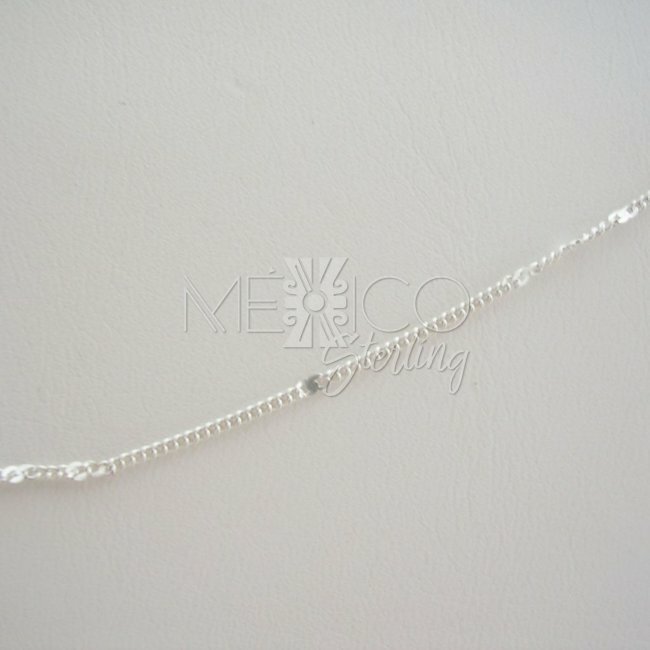 Either way, this piece will always look amazing.